On Monday, the U.S. Coast Guard said that about five dozen ships will have to wait to transit the Houston Ship Channel while efforts to clean up waste from the International Terminals tank fire continue. 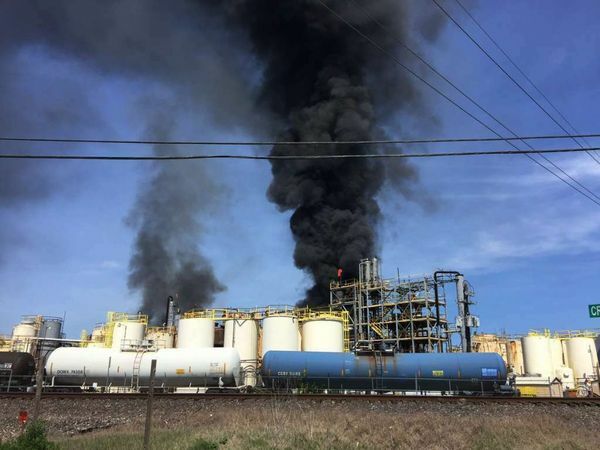 The fire at International Terminals Co.’s Deer Park tank farm broke out on March 17, and it spread to seven filled tanks at its peak. It was largely out by Wednesday, except for a few re-flash events, and workers at the site have been draining off the last of the petrochemicals in the affected tanks. On Friday, the containment wall around the tank farm failed, sending an unknown quantity of refined petroleum products and firefighting foam into a ditch that drains into the Houston Ship Channel.